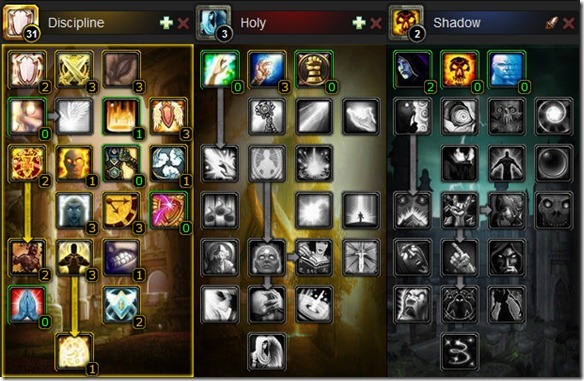 The default UI’s been updated in the latest patch 5.2 PTR build. We’ve clamored for the ability to view absorb information. That stuff was added into the combat log sometime ago. Now we can actually see how much our shields will absorb for in the various frames. Ring of Peace forms a 8 yard sanctuary around the target for 8 seconds, causing all enemies in the area of effect to be silenced and disarmed. What you don’t see in the above picture is that the ring gradually diminishes and grows smaller in size. You bet it’s a PvP talent! It’s great for any defensive or offensive work that needs to be done. If I manage to root a bunch of players, I hope a Monk drops this right on top. Finally, here we see the reworked Shadow Word: Insanity. For Shadow, this ability causes Mind Flay to gain the Insanity effect when it’s cast on a target with 3 Shadow damage-over-time spells on them. Insanity causes Mind Flay to deal double damage for the duration. Since Mind Flay will always do double damage with 3 DoTs up, does this mean we should activate Devouring Plague with only 1 Shadow orb or continue to save and use Devouring Plague at 3? The only way to negate this question is if the Insanity effect were to somehow scale based upon the potency of Devouring Plague. 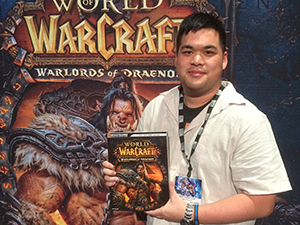 This is the one I would select if I was working on newer/progression oriented content still (any hard modes or getting Arthas down, for example). I did not get Archangel and Evangelism. 1 point in Inner Sanctum was needed to put me over the top in order to get Power Word: Barrier, although that point can be used anywhere in that tree. I opted for Empowered Healing instead of Divine Fury. 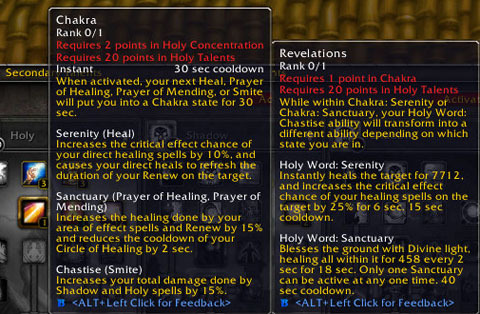 At level 80, you’re not really expected to use the updated Cataclysm healing model anyway. That changes when you hit 85, of course. Although the health of players may jump up slightly (and the pools aren’t even finalized yet), I think the harder hitting heals are still better. I’m not using Heal much myself even though I grabbed Strength of Soul. Darkness in the Shadow tree makes up the last 2 points. It was simply a filler for 2 talent points. Seems like it speeds up the times of all priest spells instead of just the shadow ones. If you’re having mana issues, you might want to consider switching to Veiled Shadows. I honestly haven’t played much with it, but it could be the difference between having 1 shadowfiend in an encounter or 2. Again, its just an option. Power Word: Barrier has a 3 minute cooldown. Use it where it can do the greatest good. Expect to see the bubble burst within a second or two of some type of AoE damage (which is the point). If no one is in immediate threat of dying (anything less than 80%), and if you’re looking for a filler, use Heal on your recently shielded tank. Don’t rely on Heal too much as the method to spring someone from the brink of death. It would be used as a way to speed up the Weakened Soul Process. 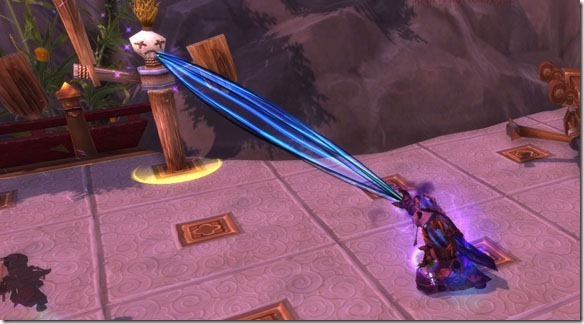 You’re still using the Power Word: Shield, Flash Heal, and Penance spells the most. Above all else, keep a close eye on your mana bars and adjust your spell usage accordingly. 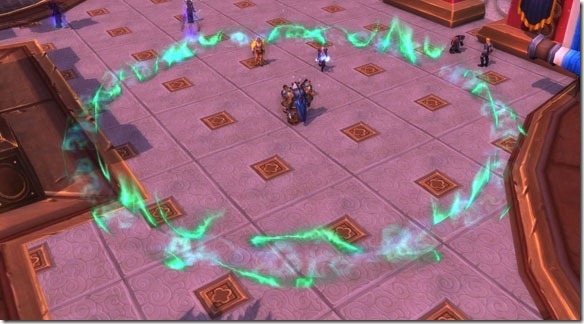 I think Discipline priests will have the easiest transition (alongside resto shamans) when it comes to healing in the next patch. What about spec number 2?! 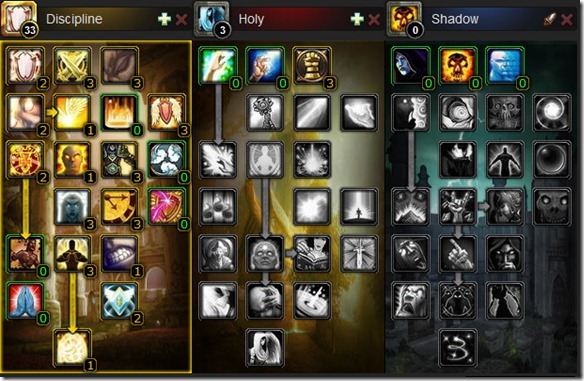 This is the spec you’re using if you want to heal but help accelerate the DPS process a little bit. You have other strong healers in your raid and you will only pinch in when necessary to help. Don’t expect to crack top 10 DPS here or anything. You’ve got the full Archangel and Evangelism combination going. Completely skipped out on Inner Sanctum. No access to Inner Focus. Divine Fury is used for faster Smites. When you’re in DPS mode, simply build up Evangelism stacks to maximum and let it hold. 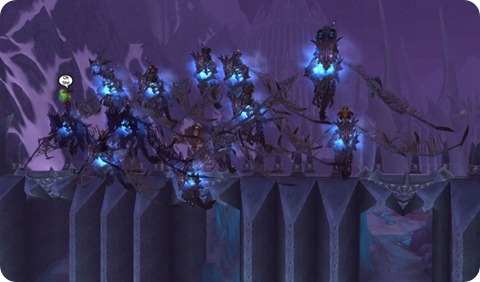 When you reach a stage in the encounter where you need to do some healing (say after a Festergut explosion or after a bunch of ghosts from Lady Deathwhisper obliterated your raid), trigger Archangel. This gives you back some mana and more importantly it increases your healing by 15% (assuming full stacks). Use that time to get your tanks back up, your healers to full, and anyone else that’s low. Its a fairly straightforward spec. 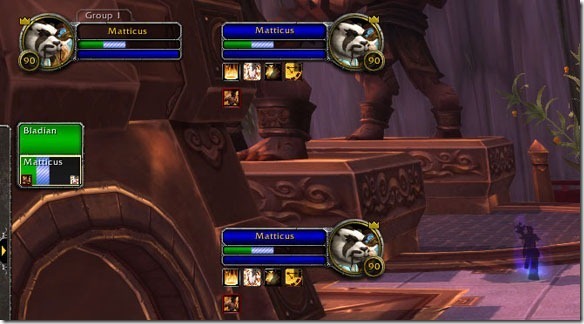 It might take an encounter or 2 to fully adjust and appreciate the DPS side of things. Feel free to post any alternative specs or suggestions in the comments. How are you liking the look of the Discipline tree so far?